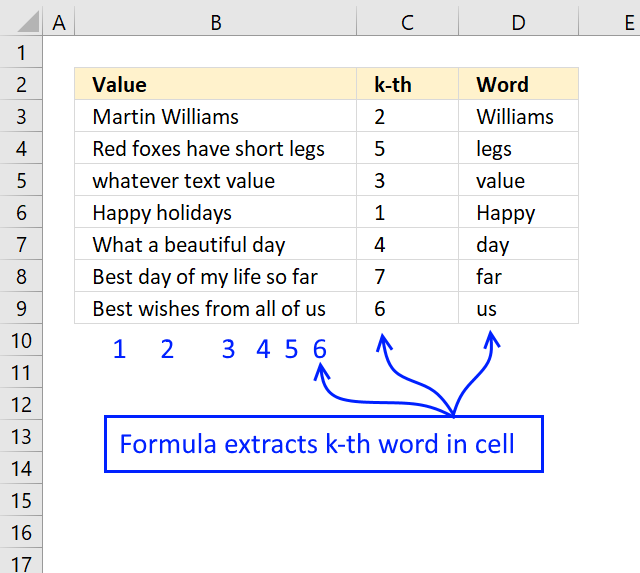 The formula in cell C3 grabs the first word in B3 using a blank as the delimiting character. 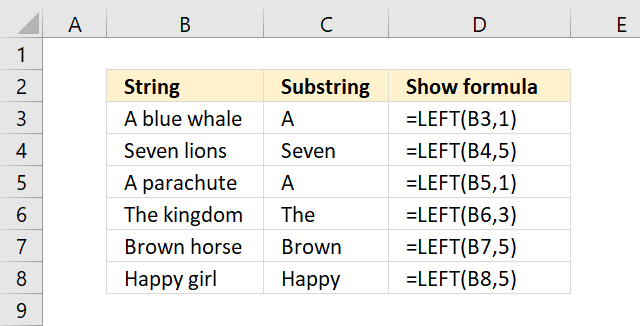 The SEARCH function looks for a "space" character in cell B3 and returns 7, if you want to use a different delimiting character change the first argument in the SEARCH function. We don't need the space character so we subtract the number returned from the SEARCH function with 1. 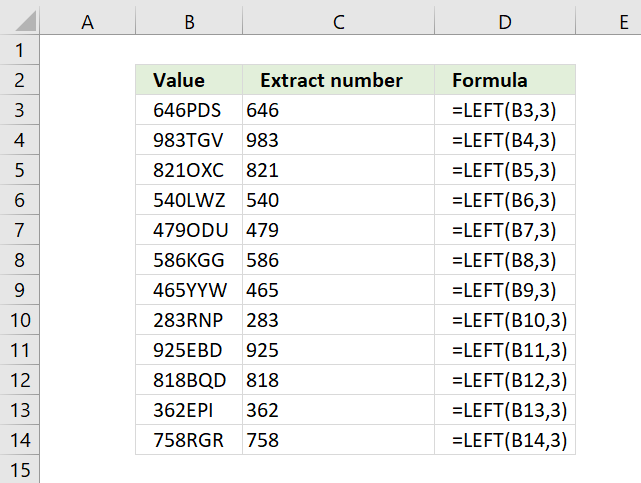 The LEFT function then extracts the first word in cell B3 using the calculated number. The following formula warns if the delimiting character is not found. The SEARCH function returns #VALUE error if the delimiting character is not found. 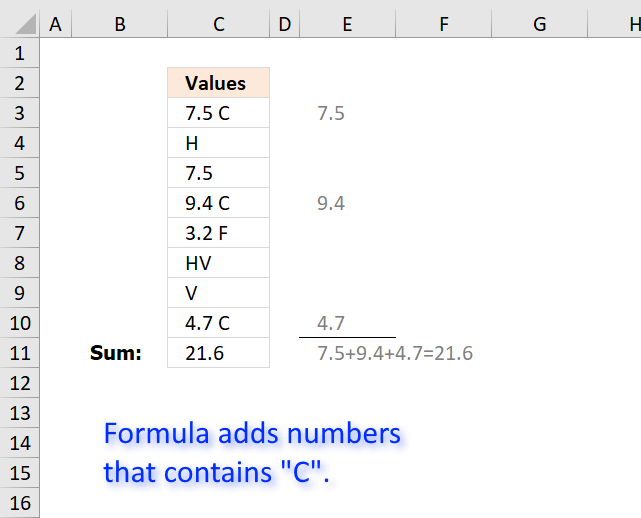 The COUNT function counts how many numbers are in a cell or cell range, it also ignores errors which come handy in this case. 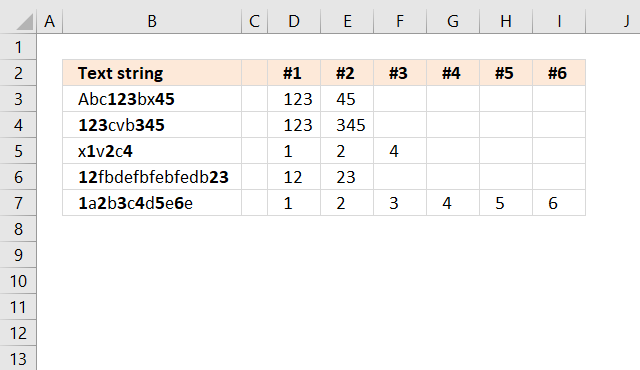 The COUNT function returns 0 (zero) in cell B3 and the IF function interprets that as a FALSE. The third argument in the IF function is returned "Wrong delimiting character?". Good article. 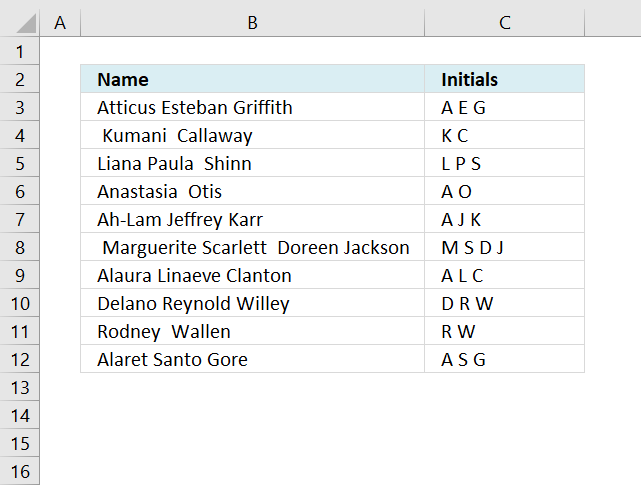 Often, I need to select up to a delimiter character or the whole cell contents, whichever is applicable. Suppose cell A2 = "ABC|DEF", cell A3 = "Words". And, in this case, my delimiter is the vertical bar or pipe character "|". For cell A2, I append a vertical bar, so what I'm searching is actually the string "ABC|DEF|". The search will still find the first vertical bar (position 4) and then subtract 1 for the left function, producing "ABC". If we used cell A3 instead of A2, appending the vertical bar to the string "Words" would give us "Words|". The position returned by the search function is 6, and subtracting 1 from this (now 5) gives us the length of the string, so the left function gets the original string. Whether you use this approach or not is largely dependent upon what you're trying to produce. This covers most of my use cases, and when I discovered it, it simplified lots of my coding (SQL and Excel for sure). Thank you Jack for your comment. Very useful if a cell does not contain the specified delimiting character at all.